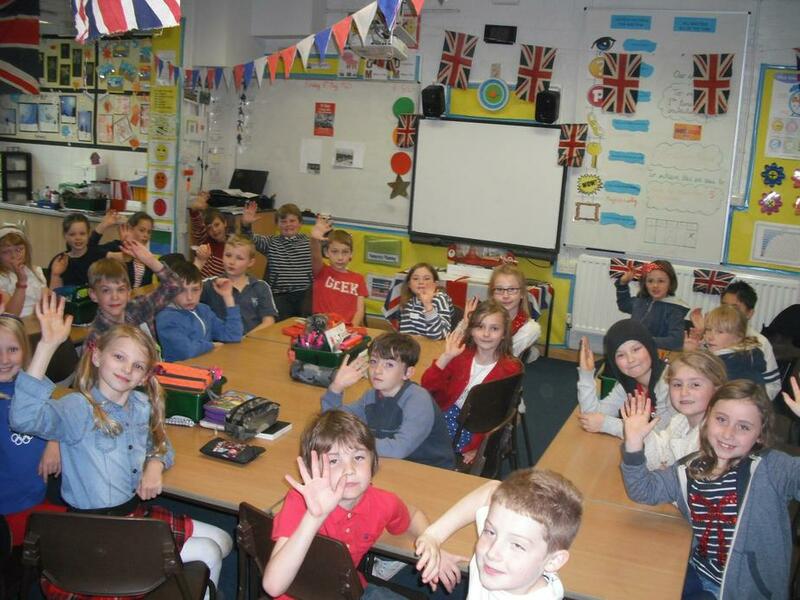 To commemorate 70 years since VE day which marked the end of World War 2 in Europe, class 3 went back in time to 1945 and had their own VE Day. 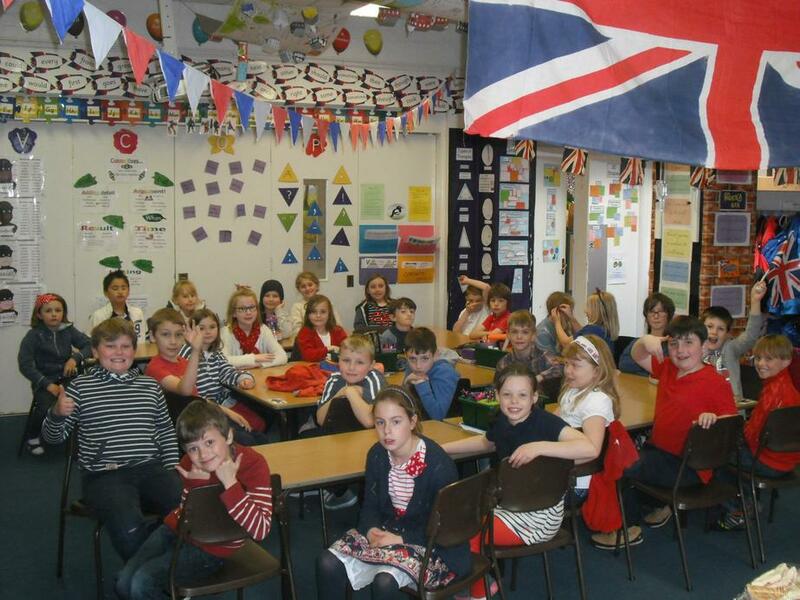 They began the day as journalists by writing a newspaper report to explain what happened. 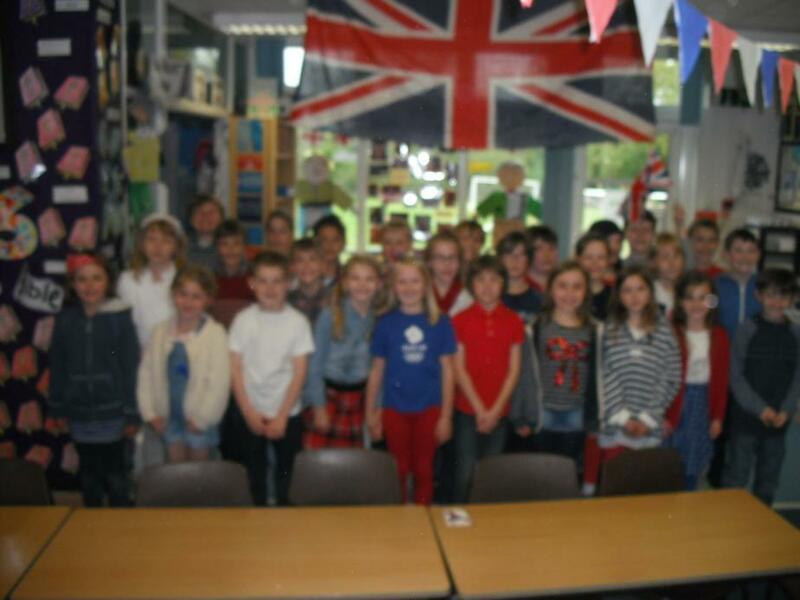 They then held their very own VE day street party! 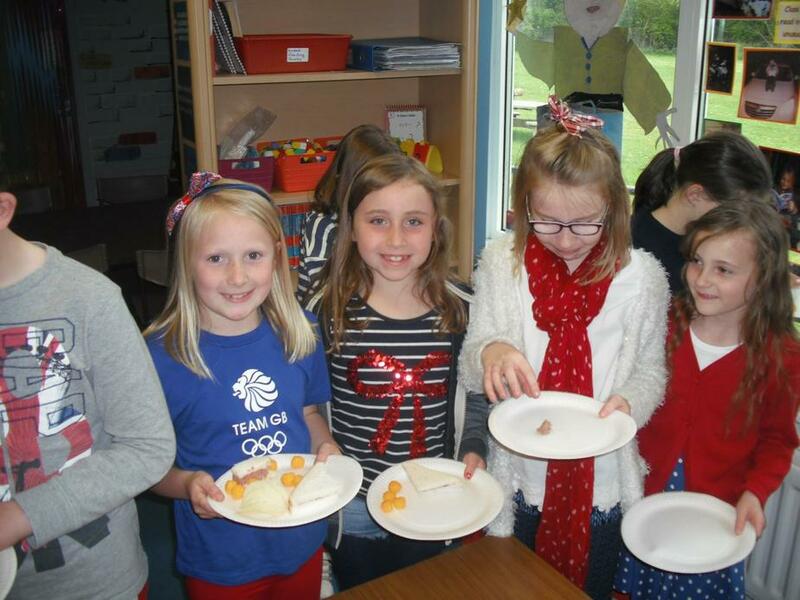 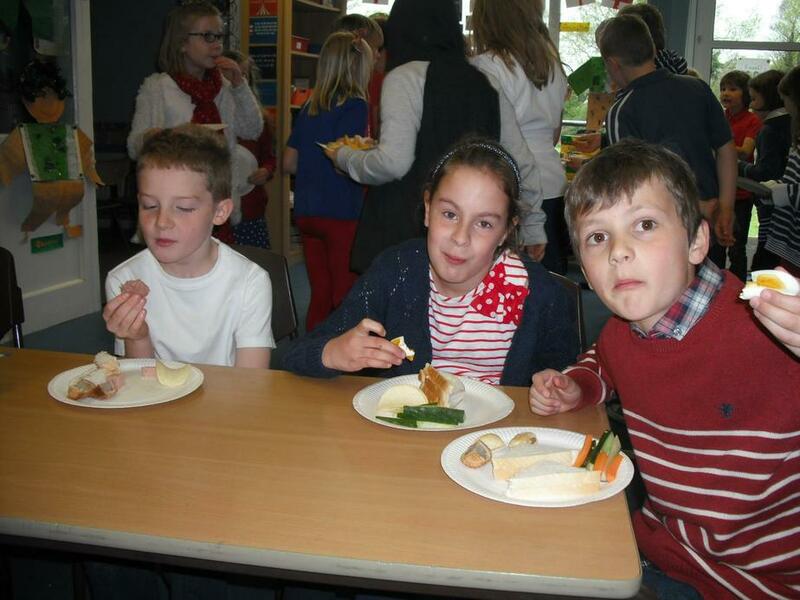 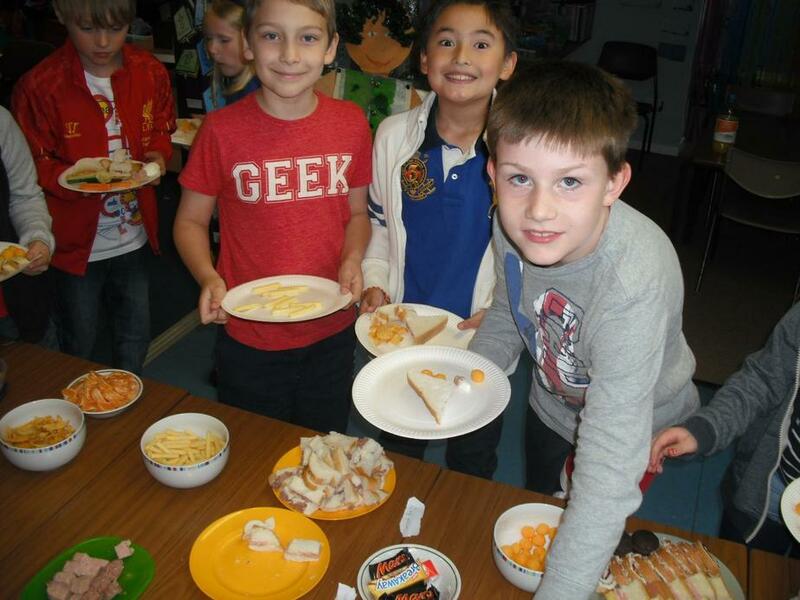 Children were dressed in red, white and blue, listened to 1940's music, made bunting and enjoyed treats such as spam sandwiches and jam tarts.